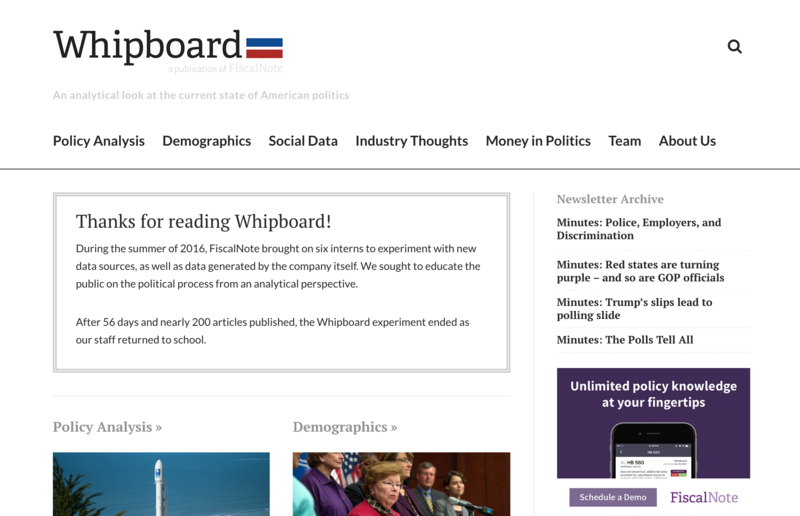 Project deprecated — Over the summer of 2016, I led six interns to produce a new data journalism blog focused on politics. We developed some great features and processes, but ultimately the project ended with the summer. Several months later, after I left the company, the website was unceremoniously shut down. A few projects live on other websites, including personal blogs that I encouraged the team to start.